The Graham sisters were on my Finding Eliza blog, along with the next generation of Cleage sisters – my sister and me. Here are my aunts, the original Cleage sisters in the early 1940’s. 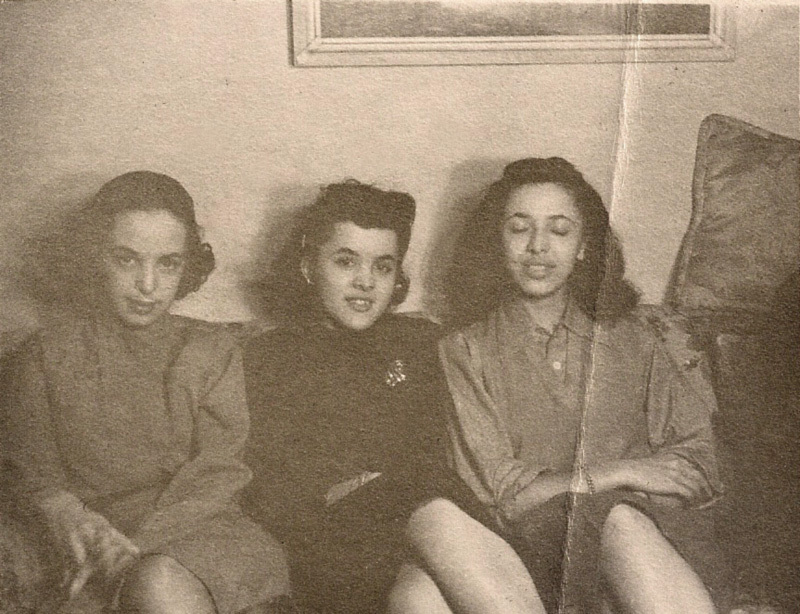 Barbara, Gladys and Anna. For more Sepia Saturday posts click here. A very pretty bunch of ladies. It's been fun getting to know them through your posts. Wow, a gorgeous group of ladies. I am not a style expert, but there seems something quite contemporary about the dress and hair styles, Great photo. It is always interesting to me to look for similarities in appearance when looking at siblings. These three beautiful ladies all look so different from each other that I would not have guessed them to be sisters. The sepia tone of the photograph is lovely.